Minnesota: Come for the attractions, stay because your car won’t start. We write this not only to commend ourselves on surviving this winter, but for making the most of all this state has offered. We’ve made snow angels in April, started pond hockey leagues that only compete in temperatures below zero, and faithfully painted SKOL across our chests every year despite historic heartache. We’ve photo-bombed tourists’ pictures at the Mall of America, willfully given $12 in exchange for fried alligator, and have felt we are somehow connected to the song Purple Rain. Not to mention, we’ve managed to pull all of this off while wearing Crocs and maintaining a reputation of niceness. Minnesotans, we have proven that nothing can bring us down, which is why we feel confident enough to deliver some more helpful tips on how to help you survive this winter and the next. *Note: This news only pertains to Diesel Engine owners, so unless you own a diesel, you can stop reading here. Due to the familiar freezing temperatures, your diesel vehicle is at risk of fuel gelling. This happens when the paraffin usually present in diesel starts to harden as temperatures drop. At 32 degrees, the wax in liquid form will crystalize and cloud the fuel tank. And at 10-15 degrees, it will start to gel, clogging the tank and fuel filters. How do I know when this is happening? Fret not, there are several signs that can tell you that your diesel is already gelled. One of the most obvious is that you’ll have trouble starting your engine due to the clogging which prevents fuel to pass through. Another indication that gelling is about to occur or already has is when there is a difference in the fuel rail pressure. If your vehicle appears sluggish or slow in acceleration—meaning it isn’t exactly performing like Adrian Peterson in the 2012 NFL season, odds are it’s because the gel has begun to harden. There’s a way to prevent it, dontcha know? 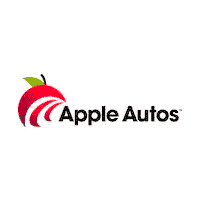 Lucky for you, Apple Autos has you covered. We recommend purchasing an anti-gel additive. The anti-gel works to reduce the formation of paraffin crystals while also lowering the pour and gel point of fuel. Contact one of our five locations for more information regarding your diesel engine. Our team of experts have both the products and knowledge to ensure you’re getting the best anti-gel for your vehicle. *Please note: the following contains sensitive material.